The Fractals Trader Free Expert Advisor is a semi-automated trading system that automates market entry at the breakthrough of fractal levels. The EA is intended for both beginners and professionals. The EA can run on any timeframe and any currency pair. Lots and return depend on the settings determined by a trader. 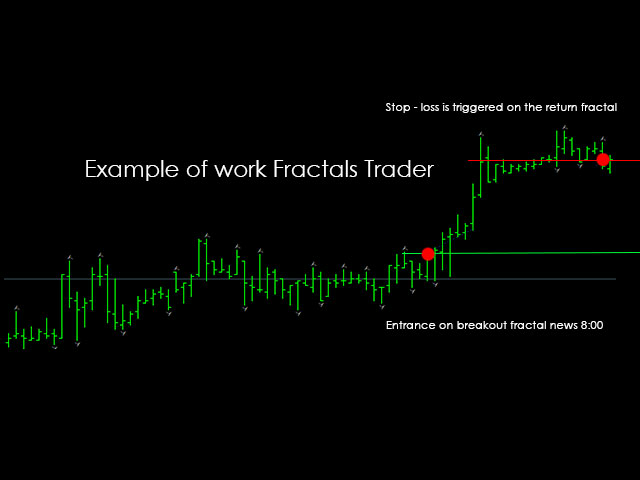 Fractals Trader Free can complement any trading strategy by automating market entry on the breakthrough of the fractal level through various types of position opening and maintaining. The uniqueness of this EA is in its simplicity; it has no complicated settings. You can run it when approaching an important level detected by the signals of your indicators or automate entry by specifying the start time in it settings, thereby allowing it to trade on important news. You no longer need to worry about setting take profit and stop loss; the EA will do it automatically, based on the specified settings. You can also enable trailing stop by fractals and the possibility of adding volume after hitting new fractal levels. It all depends on your trading strategies. There are not limitations in the Free versions, it just doesn't have some functions available in full version of FractalsTrader. - Updated to the latest build of the terminal. - Optimized the EA operation. Increased speed and operation reliability. - Fixed error when working with the tester. - Optimized the EA settings for users' convenience. Removed unnecessary options. - Added the function for closing a trade after a specified profit percentage of the balance is reached.